Hello friends!! On my mission to get "caught up" on some of my photos that have been sitting there waiting, I came across this older one and me and the little guy. It was just us this day, the girls were both at school, and we were just having a good time and being silly taking pictures. I happened to get lucky and snap this gem. It quickly turned into one of my favorites, and has stayed at the top of the list. I really had fun with this one, pulling out some more loved, but unused/unopened goodies from my stash! 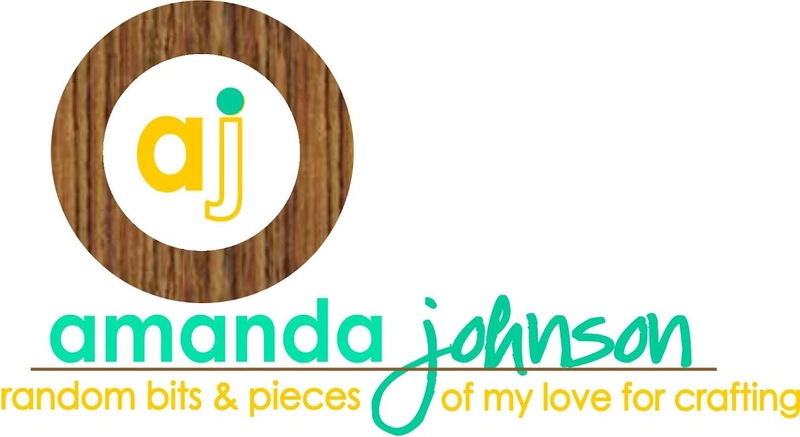 For the circles behind my photo...I pulled out the embroidery hoop wood veneer from Crate Paper! They were the perfect shape and size for what I had in mind...a little color shine, and mister huey's, and they were the perfect color too! Then for my title...I really wanted to use this large wood veneer "I love you" from Fancy Pants...adhered it my page, and went to put those finishing touched of mist splatters, and wouldn't you know I got mist all over it...instead of pulling it off, and trying to find something new, I embraced it. I covered up the area, as best I could, and began splattering right on my title. Love the look, and it added more of that green into the layout! I am also linking up to their fun Anything Goes July Challenge! Get all the details here! Take time to create something you love!! Fabulous layout! Love all the layers and color! Thanks so much for joining us over at Clique Kits!! Oh wow, this is fabulous!! Thanks for joining us over at Clique Kits! THis is so cool! I love how you coloured the wood veneer and your take on the sketch is awesome!! Thanks for joining us @Clique Kits! 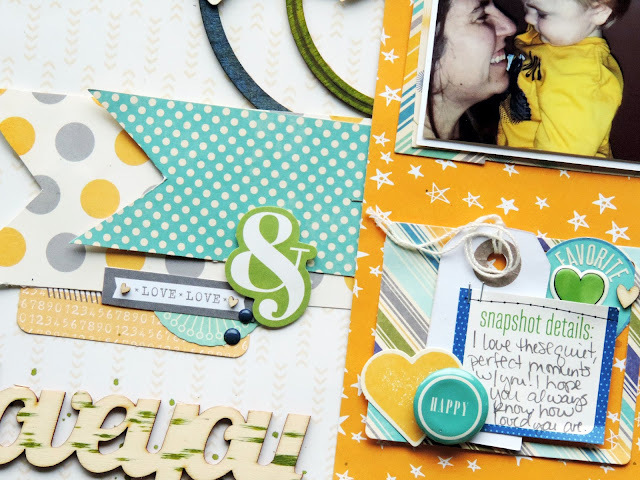 It's such a gorgeous layout, love the colors and all the details, awesome job! 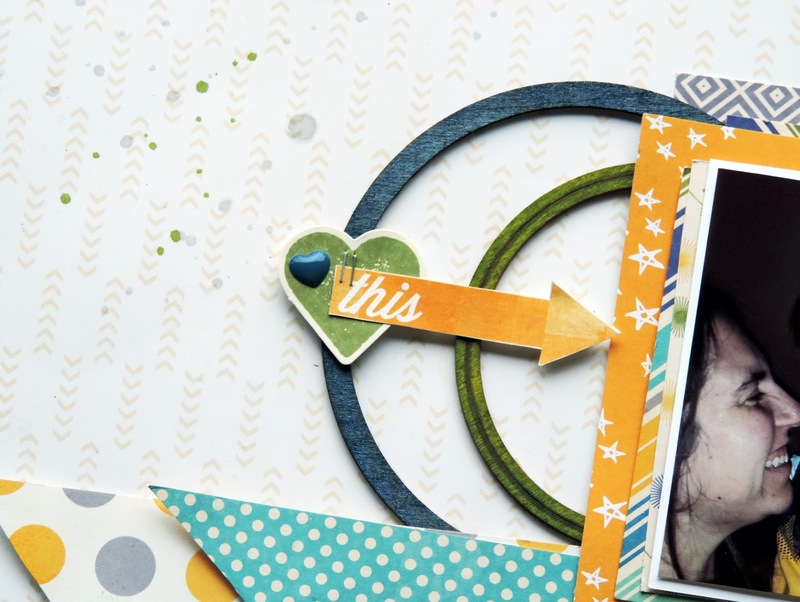 I love the colors you used here-- and those circles look amazing! Such a sweet layout! THank you for joining us at Clique Kits! This is beautiful! Thanks for playing along at Clique Kits! Everything about this is AWESOME! I love all the colors and layers!